This can be an excellent way to cut costs in your business. You can install energy efficient and solar lighting; earn some government subsidies for this and reduce your overall energy bills by more than 40%. This won’t impact your product or services in any way. You can also make mention of this effort in your marketing strategy, by positioning yourself as an environment-conscious company, which will add to your branding impact. In addition to the efforts mentioned above, you can lease roof space or land to solar providers, install energy-efficient equipment, appliances, lighting and devices. You can also get an energy audit conducted & implement the recommendations. Check what incentives your utility provider offers and what the government offers too. If your company is in the business of manufacturing certain products, consider purchasing raw materials in bulk. This can go a long way in reducing expenses, with no sacrifice on quality whatsoever. When you buy in bulk, you get the benefit of discounted prices and it helps reduce shipping costs as well. 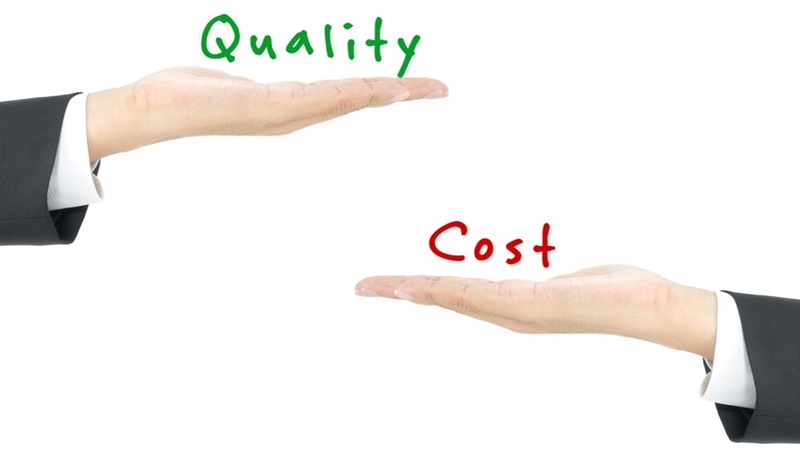 While looking for suppliers that will offer products at cheaper rates is a good way to cut costs, make sure you aren’t compromising on quality, as that can have a negative impact on your reputation and brand. Get quotes from multiple suppliers and compare them against the product quality and bulk rates, before making a final decision. You can follow this same mantra for various other services you’re using. Every business uses services that have absolutely nothing to do with any of the services or products they sell. For example, you can look for a company that provides cheaper office supplies, janitorial services or employee uniforms (if your business uses them). Consider reducing insurance benefits for employees, as long as it doesn’t impact the vitality of your business or the morale of your employees. This isn’t something which will necessarily work for everyone. For example, if you own a store/restaurant, you can’t really show window shoppers the door or show salad eaters out because they bring you less profits. But some businesses can benefit from discontinuing work with slow-paying clients. You may also want to consider offering some incentives to the higher paying customers. The goal is to focus on customers/clients that deliver greater profitability for your company. For a startup or a small business, it can sometimes be very difficult to manage a larger number of employees. The HR-related and administrative tasks can be time-consuming and a drain on your finances too. Entrepreneurs, often feel the need to handle everything themselves because they want to ensure quality and want control over everything. The best solution to avoid burdening yourself with all these tasks or hiring additional staff for it, is to outsource non-critical tasks. You can outsource aspects of your business such as sales and customer support to a good company. This will ensure the job gets done at a lower cost to you. Start implementing some of these things right away. Set a time target on your cost-cutting goals and focus on the things you can do, rather than on cost or time-intensive ideas you may want to pursue.